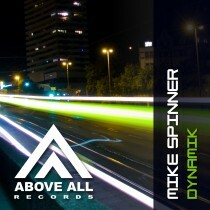 Mike Spinner is on fire! After the succes of “Freefall” this is his second track in a short period. This Amsterdam-based producer is very busy in the studio which also resulted in a remix for Ron van den Beuken’s Entraxx label. “Dynamik” shows you why you should keep an eye on this Trance Talent!